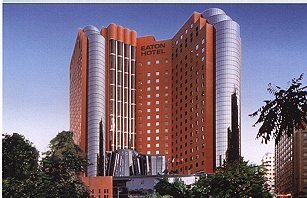 The Eaton Hotel enjoys a convenients location on Nathan Road in the heart o downtown Kowloon's famous shopping and commercial district. At the Eaton Hotel, rooms are available to suit every taste & budget. These include a choice of Economy, Standard, Moderate, Superior and Deluxe rooms up to Executive and Executive Deluxe rooms. For accommodation that's even more spacious and luxurious, guests can choose from 4 different configuration in the 80 guest rooms at our Executive Wing. Anti-fog mirror, Hair dryer, etc.